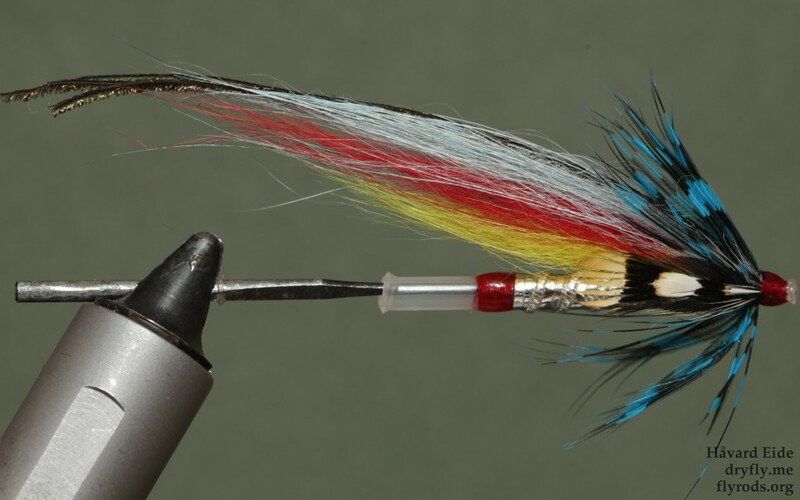 Home » Posts tagged "mylar"
Have started to do up the body separately now to focus on one and one thing, that way I can do lots of tinsel work first, then pull out the hair and do the hairwing later. 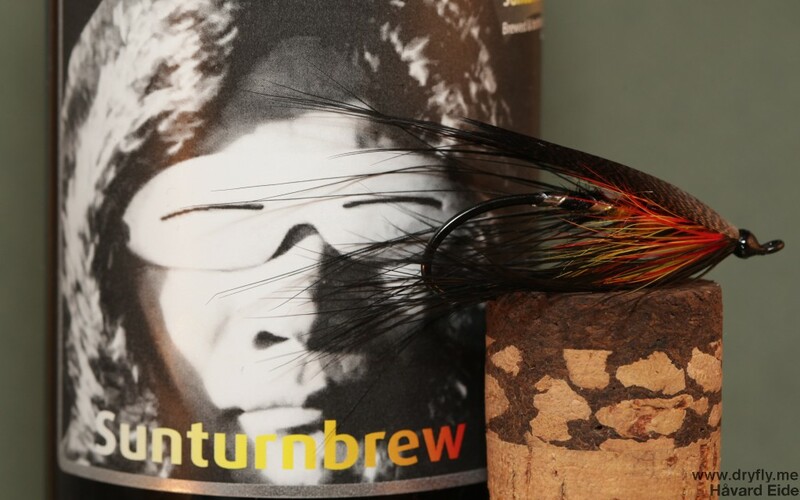 Davie McPhail have a great video of a Sunburst Spey on youtube that (after my sunturn spey) I had to give a go. 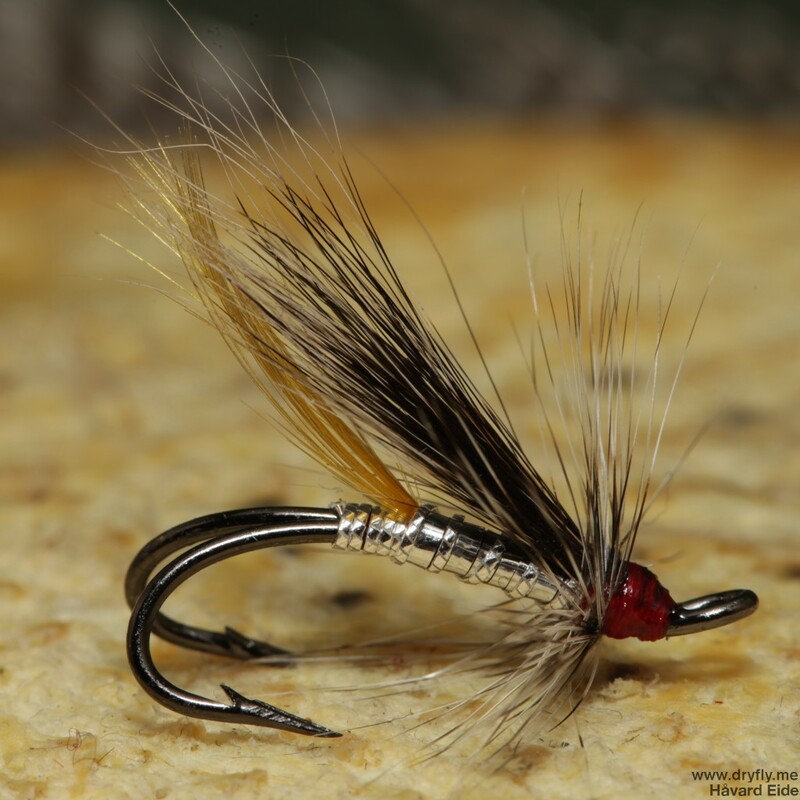 I got some of the bronze spey hooks from Alec Jackson that fits perfectly to this pattern, the only problem is that I should have had this in #5 & #7 as well since this is a rather large fly to go fishing with! 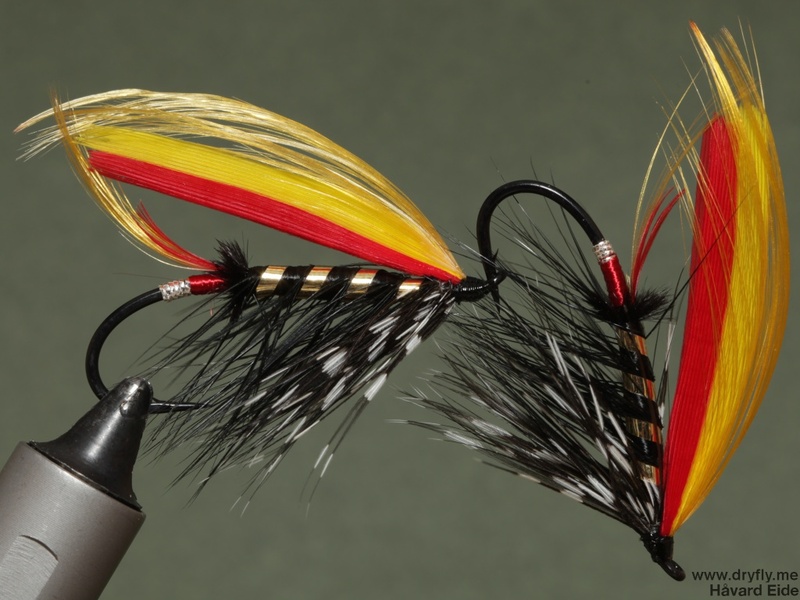 I deviated a little bit from the original pattern: the front hackle where I only had fiery orange schlappen and a pure black front-hackle, but the overall pattern is the same. 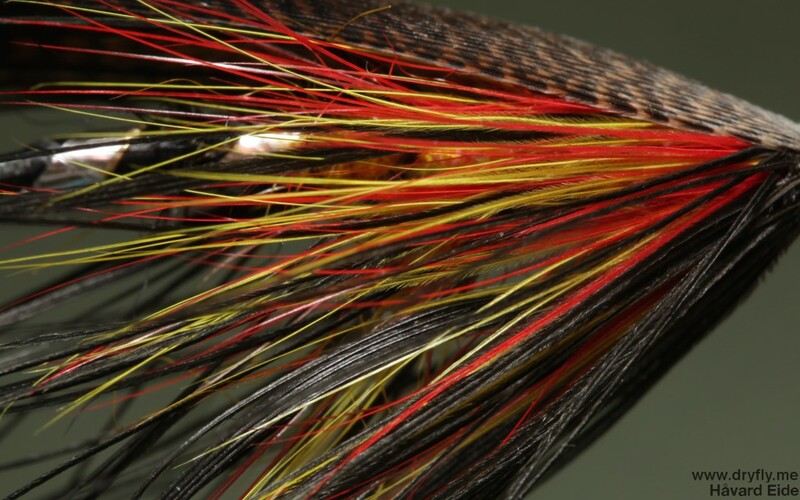 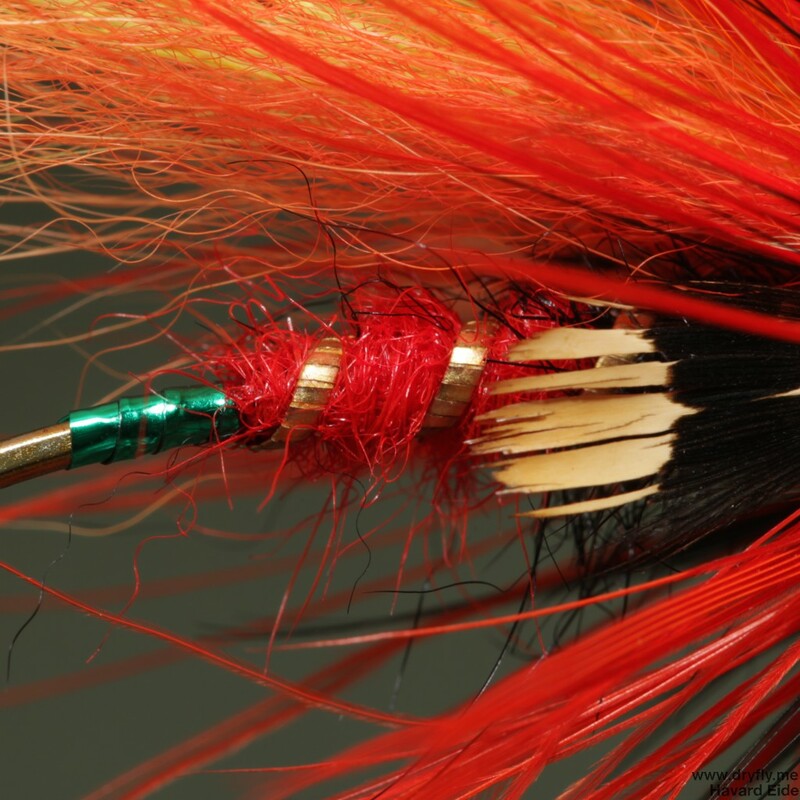 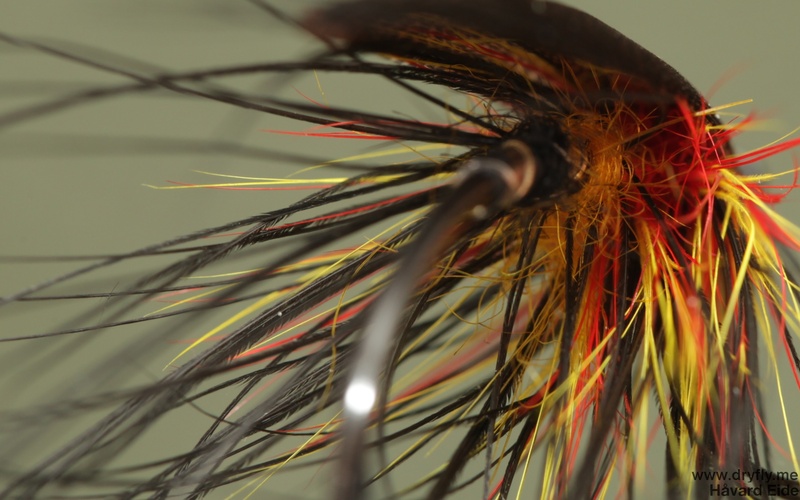 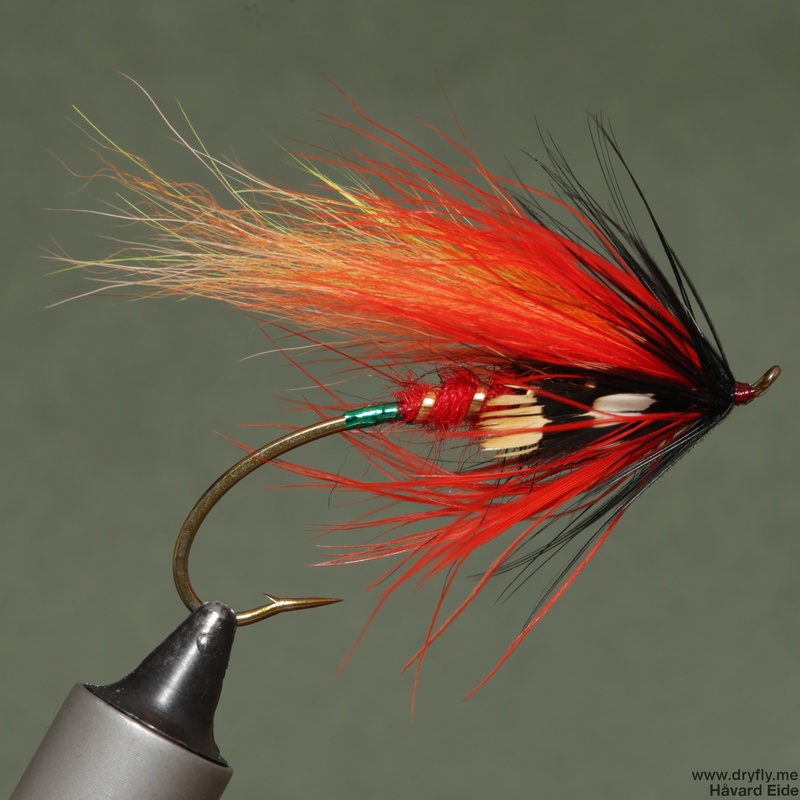 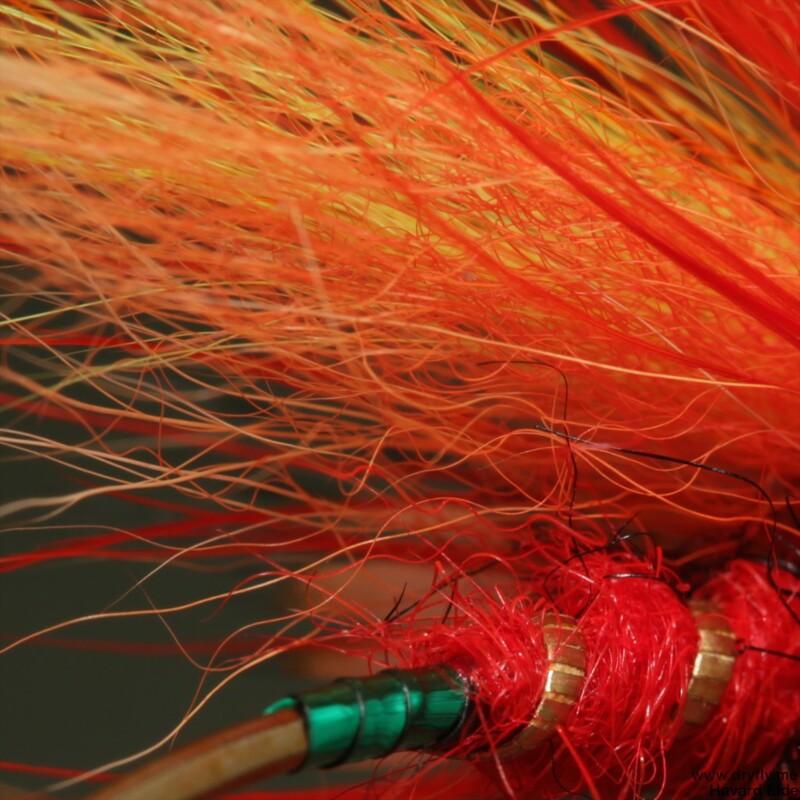 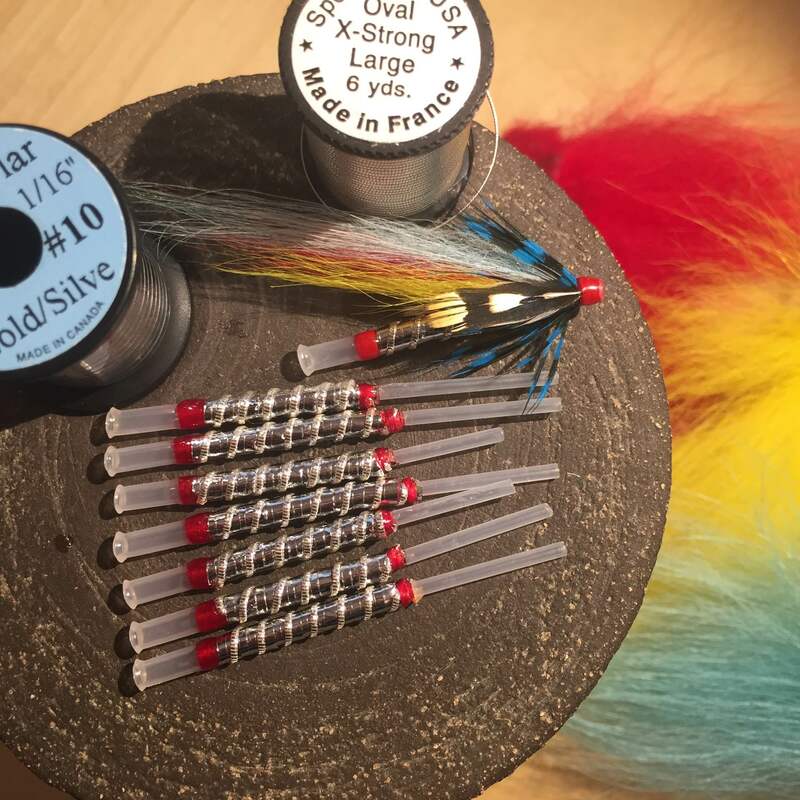 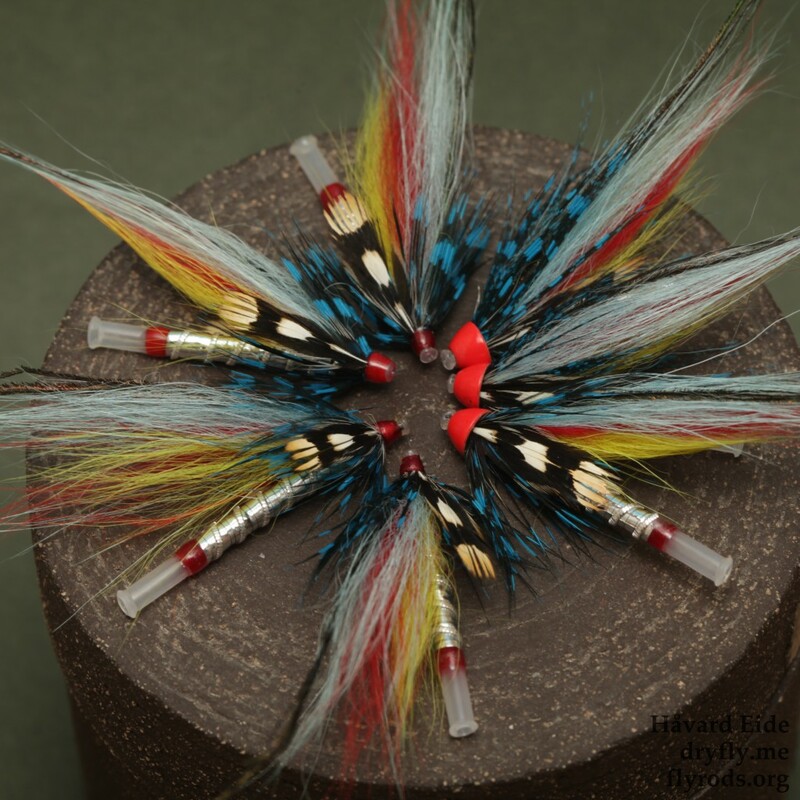 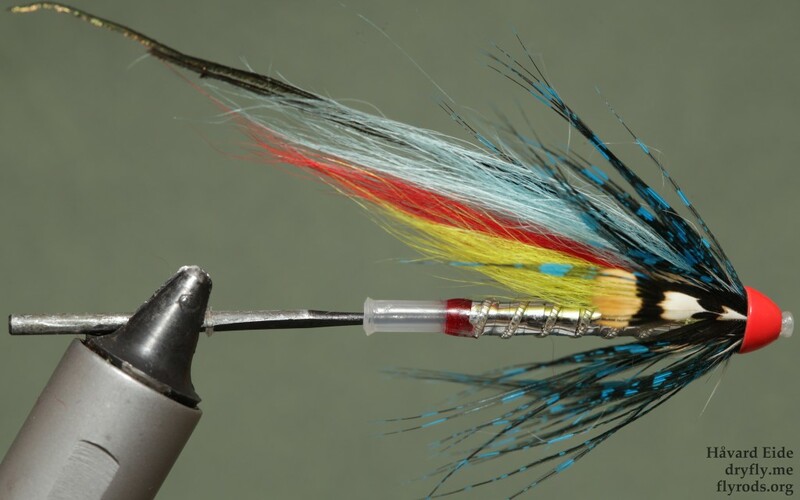 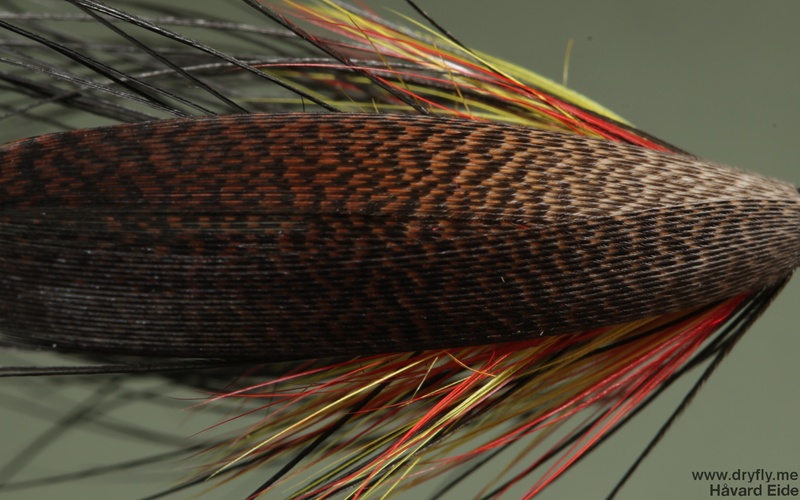 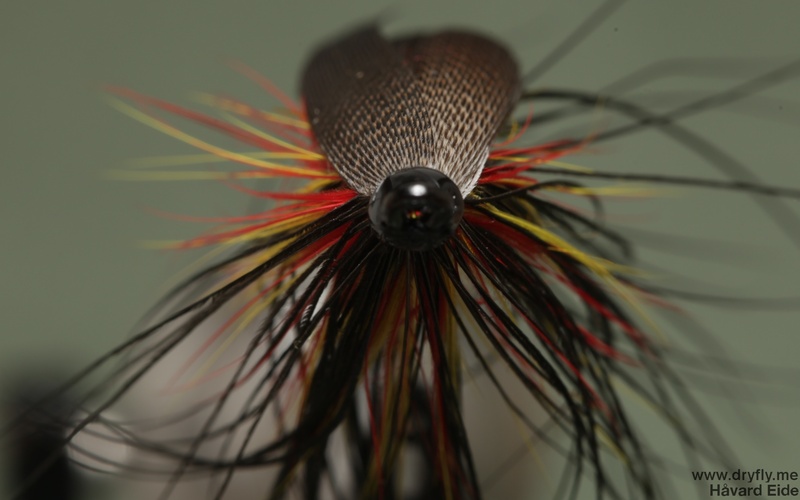 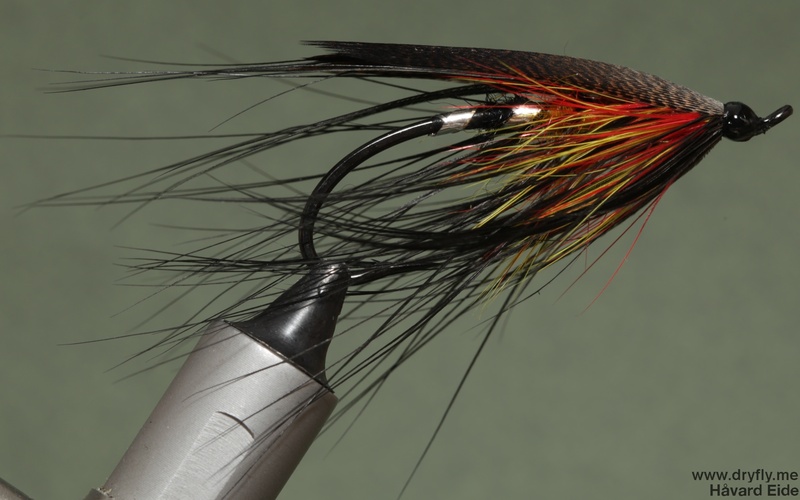 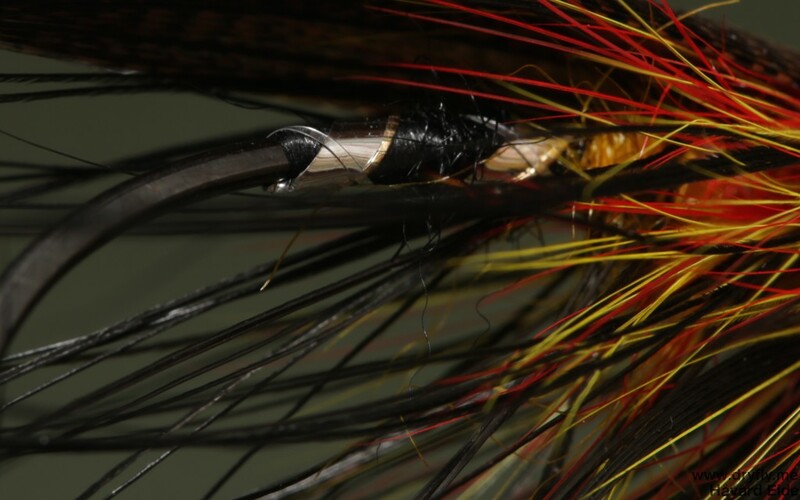 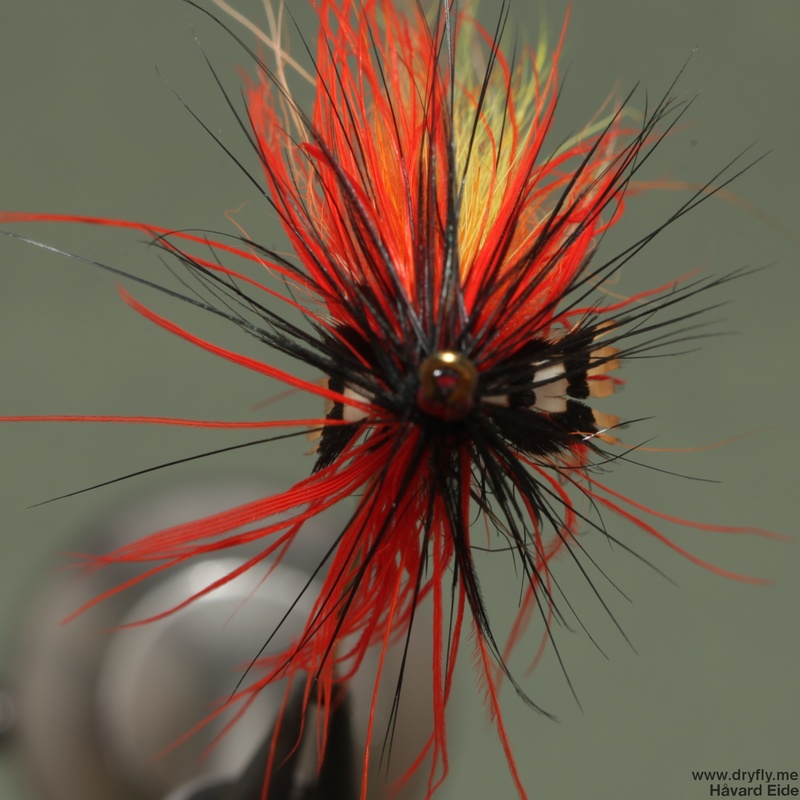 The vibrant colors in the wing, the hackle and the body will make this really shine up once it is in the water.